Software quality assurance (SQA) is by far the most expensive activity in critical system development. SQA teams usually focus on single techniques/tools, neglecting the quantification of cost-time-quality trade-offs in testing, code analysis, maintenance, operation. Critiware, with the support of its core technology CEDALION, can boost and tailor your V&V process based on your own needs and your historical repository as well as operational data. Turn your ‘buggy history’ into value! Your bug repository, as well as reports from automatic static analysis (ASA) tools, is your gold mine and our starting point. CEDALION can mine any bug repository, from custom solutions to open source bug-tracking platform (e.g., Mantis, Jira), and read from common-format ASA reports. CEDALION transforms raw data into quality measures, quality prediction and quantitative support to decision-making for SQA team through optimized plans. Product’s testing and analysis is an extremely rich source of information for your process if coupled with data collection. It tells about how well you are developing, testing, fixing and maintaining your products. 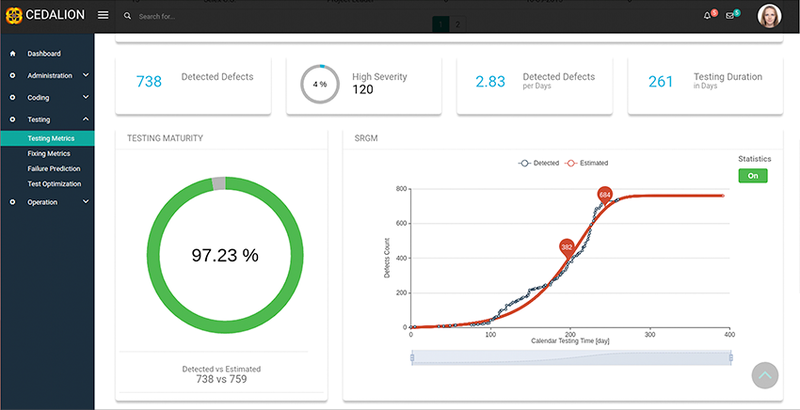 CEDALION supports the automated analysis of your process, by outputting indicators of products’ quality evolution over time, of most severe flaws of testing teams, of detection and fixing process effectiveness. The nightmare of most software engineers and managers is the cost of V&V. A primary cause of such a cost is the absence of adequate planning. CEDALION provides solutions for optimal testing effort allocation, for defects prediction, for optimal release time scheduling, for optimal ASA violation’s fixing plans. CEDALION can help system administrators to spot criticalities and dependability bottlenecks to reduce downtime and assure continuity of operations of the IT infrastructures. 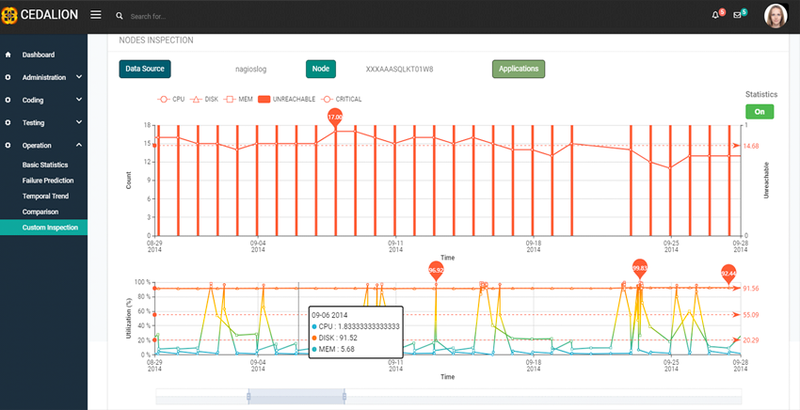 CEDALION can help monitoring applications and machines based on a variety of runtime data sources (system and application logs, monitoring audit); it can support predicting future trends and trigger the need of proactive maintenance actions based on past historical datasets.